Reckoned as one of the renowned business names, we are involved in bringing forth world class Copper Concentrate. 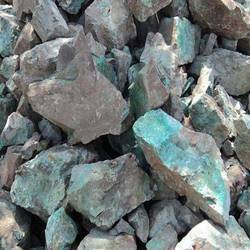 We have copper concentrate of 16-17% copper, Ni-5-6%and Mo-1% approx. quantity available - 300mt. We are dealing in Iron ore, Lead concentrate, Zinc concentrate, Copper concentrate , Bauxite. Low grade copper ore (5 to 10% ) available from phillipines mine . MINE VISIT ALLOWED AFTER SIGNING SPA.